...or life isn't always necessarily fair. In Growing Home , as she watches the big male deer challenge the fence while she is on her knees in the dirt setting a gopher trap, Sara complains that "this is when gardening feels like war" All gardeners and farmers have to protect their crops at some time—there is a never ending parade of creatures that want to share in the harvest. And often what feels like mindless depredation to us is a part of something much larger than just our gardens. But, as members of that larger ecosytem ourselves we have to make judicious decisions of how we are going to "fight back," in ways that leaves us with edible crops and causes the least damage. The Fence...first line of defense. This would include rabbits, wild horses, dogs, anything that can be stopped with a fence. Fencing is an issue of its own, with each critter needing a different strength or mesh size to exclude them. 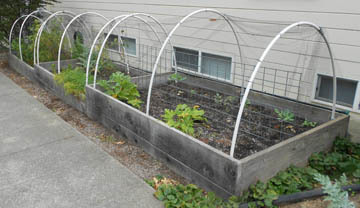 Secifically for deer, here in Sonoma County, an eight foot high upright fence will keep them out IF it is anchored at the bottom to the ground. Sara's not knowing this led to her first encounter with deer as venison. Fences can be lower if canted (installed at an angle toward the outside) Deer can jump high, and they can jump wide, but usually not both at the same time (unless they are frightened, which is a whole other story). Also, they will avoid jumping if they can not see the ground where their feet will land or into a small confined space. People have had good luck with two low (4-5') fences separated by 3-4ft of space. These critters are particularly problematic in Western Sonoma County and their damage can be heartbreaking, sometimes killing entire small trees. In the beginning I did not trap, but only tried to exclude gophers, but after losing entire crops and quite large trees to their depredation I resorted to traps. 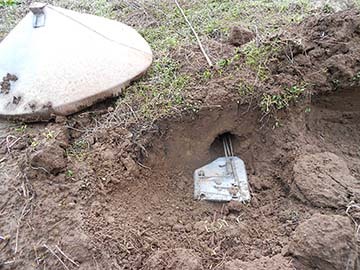 In many areas trapping will keep the population, and resulting damage, reasonably under control. I use two different types of traps. Black Hole is a black plastic tube with a cinch wire. It kills the gopher quickly and does not need to be anchored as many of the other kinds do. I always cover the trap area to exclude light and other animals, as the trap could crush a curious cat or fox paw. 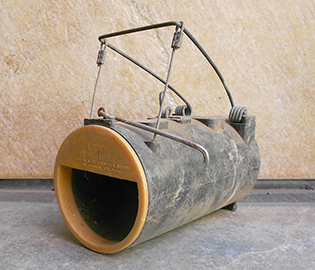 It may take repeated tries in the same tunnel system to catch a gopher with the Black Hole , but they will often keep coming back to refill the trap, becoming less careful each time. 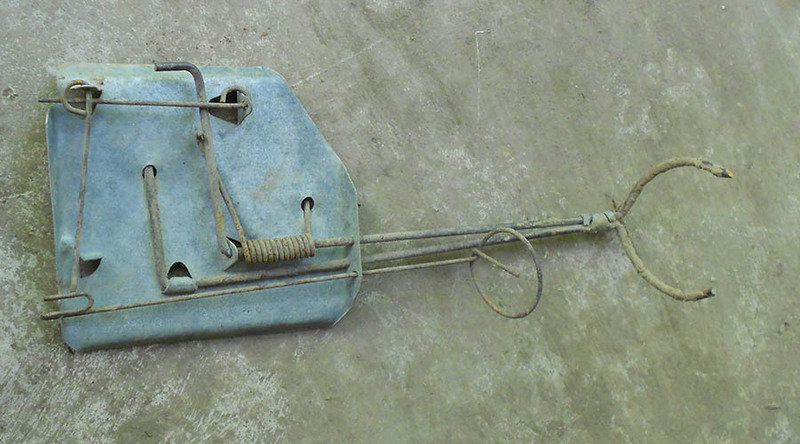 More and more I use another type of flat plate cinch trap, The Digby , that I get from Sebastopol Hardware. This trap is much harder to set if your hands are small, but it has been more effective for me. I use the "mole" version which has a smaller trigger area and cinch diameter, which lets it fit in smaller gopher tunnels. Some people boast about how big the gophers they trap are, but I prefer to catch them when they are small and before they make more gophers. Once again, I always shield the trap from other curious critters. On the West side of Sonoma County very few plants can be established without some type of underground protection. For establishing trees, shrubs, and perennials I make individual gopher baskets out of half-inch aviary netting. The expectation is that when the wire rusts out the plant will be sufficiently large to withstand some depredation (this also helps with moles, as their tunneling search for food often disrupts young plants). If I know the plant is favored by gophers I will make similar, but larger, baskets from heavy hardware cloth (I use 2 foot wide 1/4 inch mesh). These will also rust with time, slowly enough that they could restrict the root growth of larger shrubs and trees, but affording longer term protection for smaller plants. 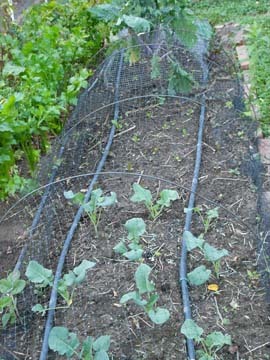 Hoops of various material (metal, irrigation pipe, branches) can be covered with "bird netting" and held down around the edges by "J" stakes that are designed to hold down irrigation lines. 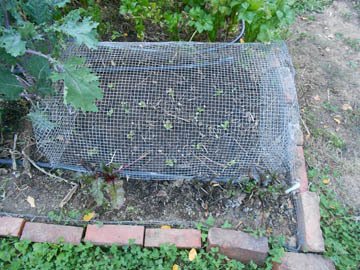 Smaller, movable, above-ground critter proof protection zones can be formed from wire mesh. These are best held down with a few drip stakes also. 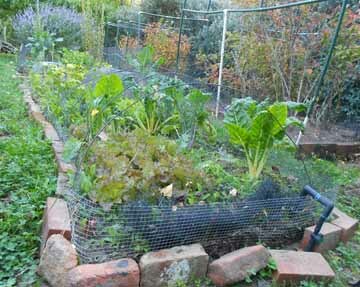 An added benefit to these little cages is that a sheet or tarp can be thrown over them for quick frost protection without crushing the baby plants.